Great photo here of Gran Moraine winemaker, Shane Moore, sampling some Chardonnay out of the tank. Happy Memorial Day to you all. This is a great time to reflect on the brave men and women that have served our country and to remember all of those who have come and gone throughout our lives. Nearing the end of Oregon Wine Month we bring you one of the stars of the Willamette Valley. Gran Moraine is named after the cataclysmic floods that occurred in the northern Willamette Valley of Oregon during the last ice age. As the flood waters receded, they impacted the region, leaving small indentations or mini valleys (moraines), similar to those in the the Côte ’Or in Burgundy. Located in the Yamhill-Carlton AVA, Gran Moraine has 220 acres planted to Pinot Noir and Chardonnay. Winemaker Shane Moore is an Idaho native and crafts some outstanding rereleases for Gran Moraine. 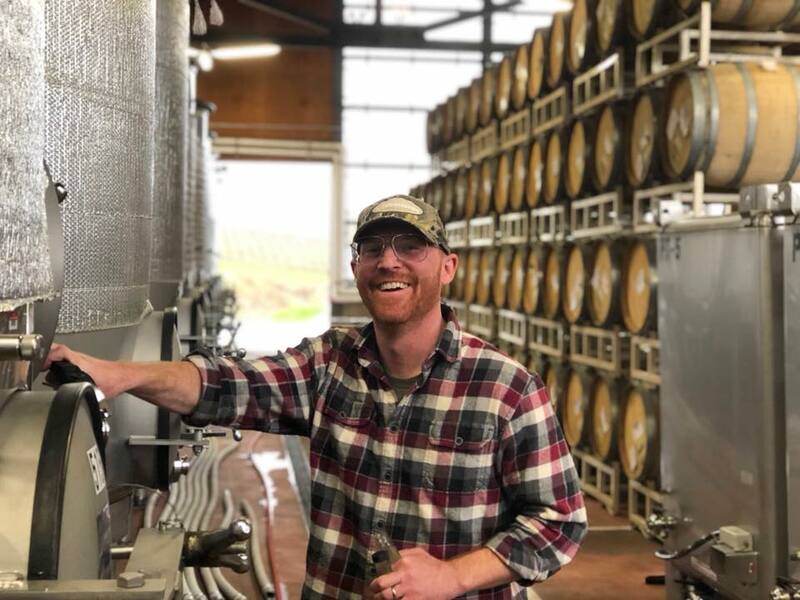 He has a bachelor of science in enology and viticulture from Washington State University and previously spent three years gaining international winemaking experience in Canada, Western Australia and Israel’s Golan Heights. In 2011 Shane began working for Jackson Family Wines winemaking team as an enologist, crafting cool climate California Pinot Noir and Chardonnay. Shane helped build the Gran Moraine winemaking team and was named winemaker in 2016. HIs new releases were truly outstanding across the board. One of the best Rose wines out of Oregon in my 2018 Rose Report, the 2017 Gran Moraine Rose (WWB, 92) is a stunner, showing an amazing range of flavors and aromatics, displaying a wonderful mouthfeel and long finish. This is a wine not to be missed. Even better is their new Pinot Noir release, the 2015 Gran Moraine ‘Yamhill-Carlton’ Pinot Noir (WWB, 93) which has everything you want in a great Oregon Pinot Noir, which incredible depth and acidity. Learn more about this fantastic winery at https://www.granmoraine.com Here are the great new releases by Gran Moraine.